If you feel uncomfortable after you drink or consume anything that includes lactose, say a glass of milk, then there’s a good chance that you’re lactose intolerant. 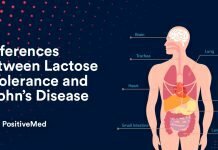 Lactose intolerance is caused by small intestines that don’t manufacture sufficient amounts of lactase, which is an enzyme that’s necesary to digest milk sugar — also known as lactose. People who are lactose intolerant often experience diarrhea and gas after they consume lactose. If you have loose and runny stools and find yourself running to the bathroom a lot after a meal, consider whether or not lactose was involved in any of your foods or beverages. Strong stomach cramps often signify lactose intolerance. If your abdomen hurts for a while after you drink milk or consume any dairy foods, then that’s a telling sign that your body probably doesn’t handle lactose intake too well. 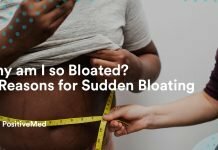 If your belly looks and feels bloated after lactose intake, then that’s yet another potential warning sign of the condition. People who have lactose intolerance often experience noticeable rumbling noises that come from their lower stomachs. If your stomach seems to “talk” a lot after you’ve eaten dairy or had a glass of milk, lactose intolerance may just be the annoying culprit. Nausea is yet another possible indication of lactose intolerance in people. If you feel nauseous and uncomfortable after you drink milk, for example, don’t ignore it. It’s also extremely common for people who feel nauseous due to lactose intake to throw up. Vomiting is a common symptom of lactose intolerance. Note that all of these symptoms generally show up in a span of two hours post lactose consumption. If you experience any of these symptoms, schedule an appointment with your doctor as soon as possible. 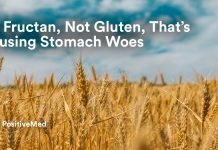 This is important because these symptoms can denote any number of medical conditions, not just lactose intolerance. Doctors generally confirm lactose intolerance by conducting lactose intolerance tests. These tests assess how bodies respond to liquids that are heavy on lactose. Stool acidity and hydrogen breath tests can also confirm lactose intolerance in people. If your doctor evaluates you and your situation and confirms that you indeed are lactose intolerant, he or she will give you useful tips that can help you keep you free of the symptoms associated with this condition. If you want to keep the frustrations of lactose intolerance symptoms out of your life, refrain from consuming significant amounts of milk and dairy products in general, no matter how much you enjoy those things. If you’re a big fan of ice cream and can’t bear not eating it, look for ice creams that have decreased levels of lactose while at your supermarket. This also is a smart tip for people who love milk but are lactose intolerant. If you love cereal, for example, but are lactose intolerant, purchase milk that has reduced lactose levels. These products are readily available for purchase at most grocery stores so finding them shouldn’t be a tough task at all. Dairy alternatives can also help. Try eating foods that contain nut, almond,rice or soy milk instead of cow’s milk. When you buy ice cream, look for vegan ice cream options instead of traditional ones. Several natural remedies can also be beneficial for people who are lactose intolerant. Yogurt that includes live active bacteria can often be helpful for lactose digestion purposes. Some doctors even suggest that patients take lactase supplements. If you’re careful and always follow your doctor’s recommendations, living a happy and comfortable life with lactose intolerance doesn’t have to be out of your reach at all. You can even eat ice cream. Next article10 Unexpected Things That Might Be Causing Your Terrible Headache! 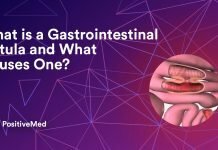 What is a Gastrointestinal Fistula and What Causes One? 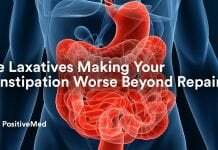 Are Laxatives Making Your Constipation Worse Beyond Repair?